About Ladakh: Ladakh is known as the Land of High passes. It is a part of the Indian state Kammu and Kashmir. This extends from Siachen Glacier in the Karakoram range to the Great Himalayas. It is one of India's most secluded regions which will make one experience the true beauty of nature. One can experience the landscape changing with every turn that is taken. 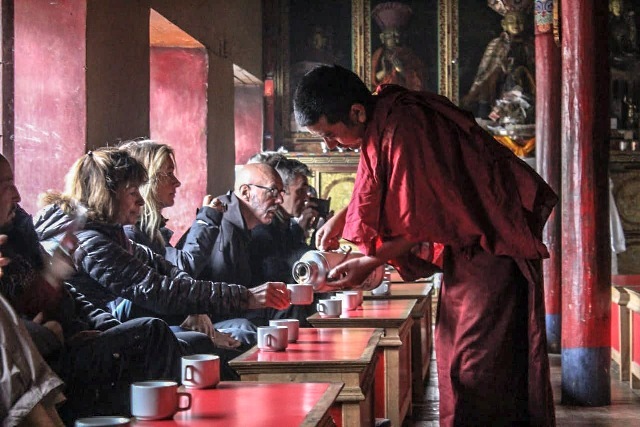 The cultural background of this magical land is mainly inherited from Tibet. 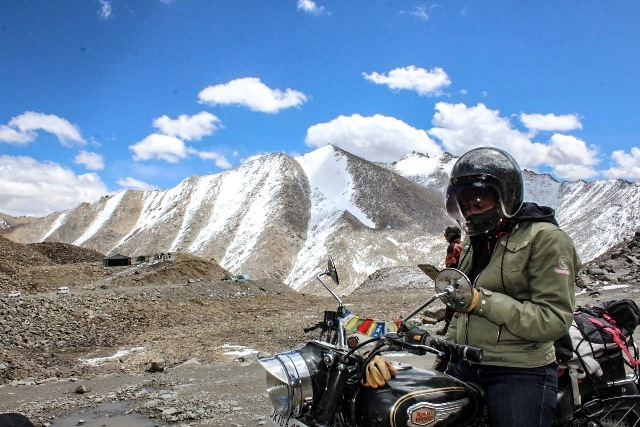 As one moves to Nubra after facing the might of the sturdy Khardung-La (One of the world's highest motorable road at 5359mts ASL) the landscape changes from snowy ice clad mountains to dusty sand dunes in Hunder. A very rare species of Camel called the Bactrian Camel also known as the Double Hunch Camel has made its residence in cold deserts of Nubra Valley in Ladakh for a few hundred years now. One will be enthralled at the alluring view of this is magestic animal. town that once was a major commercial spot on the silk route during this 7 day trip. -In the morning you arrive at Leh airport. 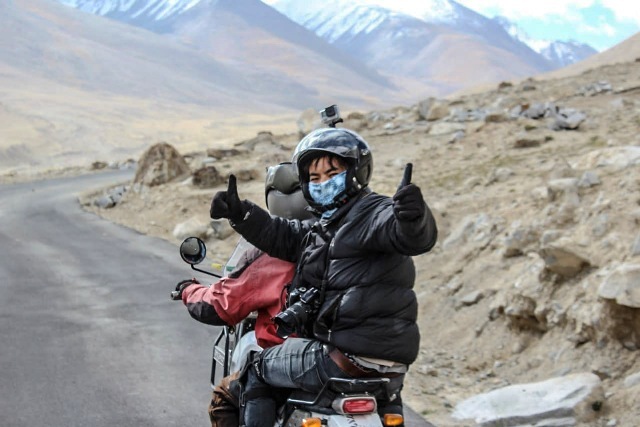 -This is the first day of the Leh to Leh bike tour. -Till 4pm is free for acclimatization. 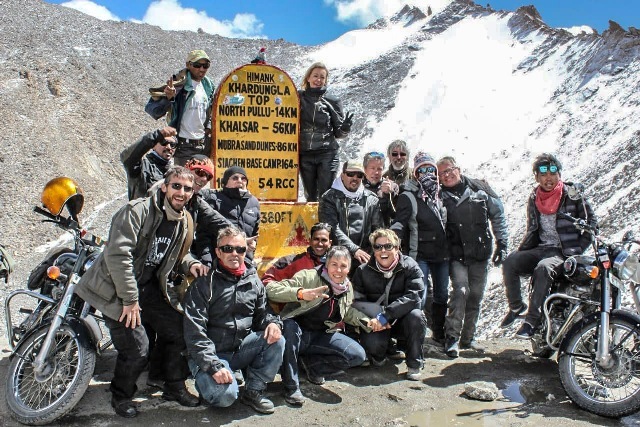 -Bike test drive about 10km around Leh in the evening and overnight stay at the hotel or guest house. - Breakfast will be served at the hotel. - On the way you will get to see the famous Mangetic Hill. - A visit to alchi monestrary and also lunch break. 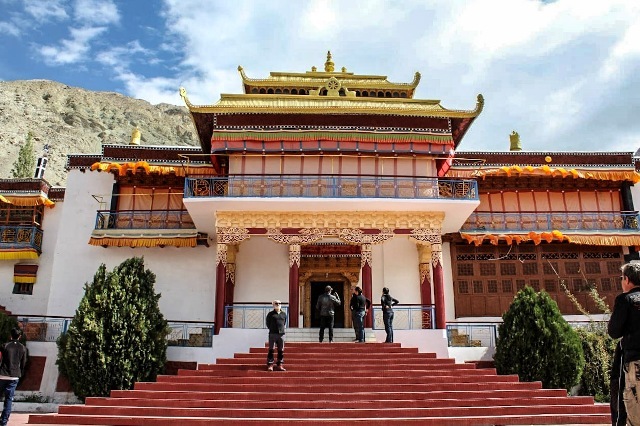 - A visit to lamayuru monestry after breakfast and start riding back towards Leh. - On Arrival check in at the hotel. - Rest of the day is free. - Head towards the last village of India where you will be just 4 km away from Pakistan. - Arrive in the evening at the fixed camp and rest of the day is free. - Overnight in the camp. 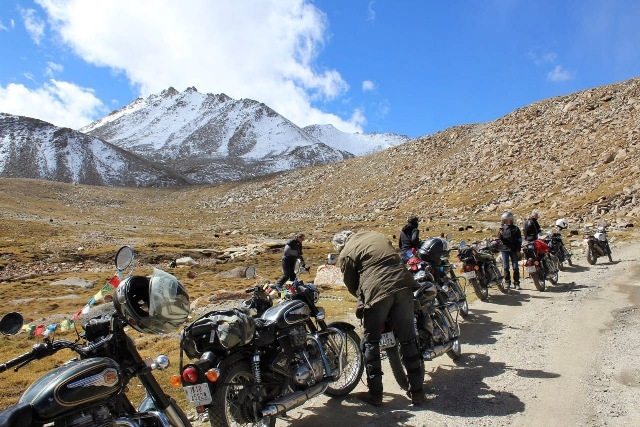 - In the morning start riding back towards Leh through Chang-la Pass at 17,350 ft.
- On Arrival check in at hotel. - You depart from Leh in the morning. Read our Cancellation Policy, just in case you have to cancel your participation. Important points to be noted before registering.